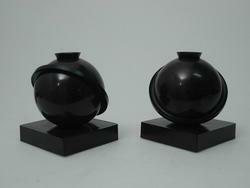 the shape of this pair of spherical bakelite candleholder is typical of Art Deco period around 1930. 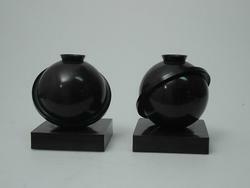 They are unmarked and their origin is unknown. 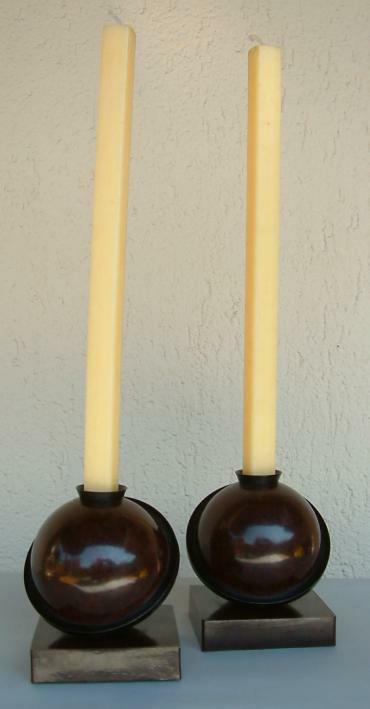 The candleholders are 4 1/2 in. high (cm. 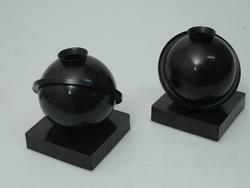 11) and were bought from a Swedish dealer through the Internet.